I almost voted for this, but there is a sync problem.. ! Dj-Legato wrote: I almost voted for this, but there is a sync problem.. ! I love the idea behind this, but it really feels as if the vocals are not fully on spot from the first chorus on. This got better on my second listen so I'm unsure if it is actually a problem or somehow the "fresh" ear gets fooled here. DJ Dumpz wrote: I love the idea behind this, but it really feels as if the vocals are not fully on spot from the first chorus on. This got better on my second listen so I'm unsure if it is actually a problem or somehow the "fresh" ear gets fooled here. 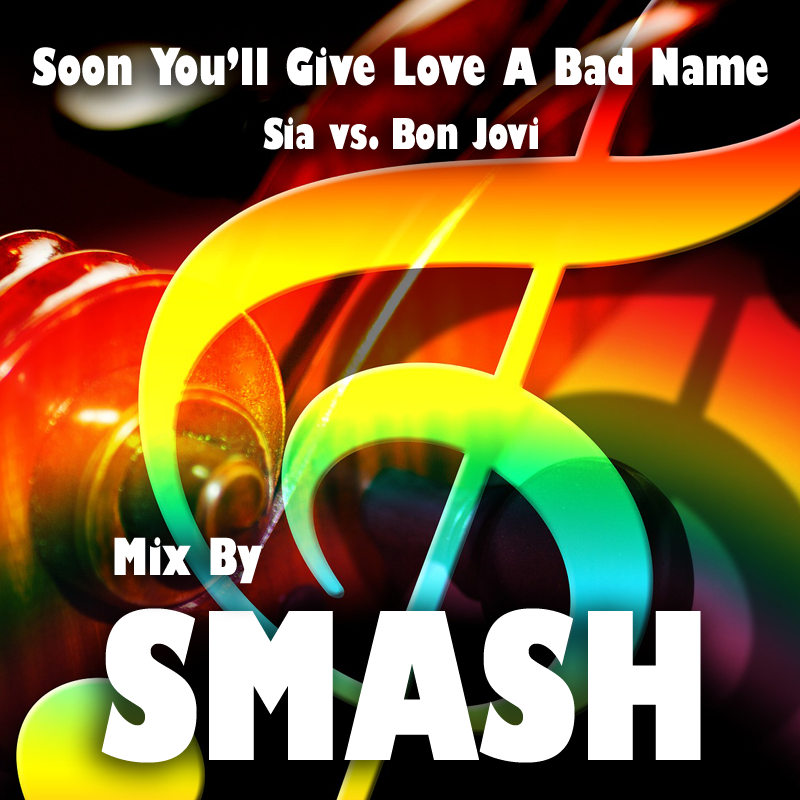 SMASH, I love this concept and the sound of this mashup…It’s like Jon Bon Jovi singing an emotional lullaby in a Broadway musical. Artistically it’s brilliant and a lot of it is just beautiful to listen to, but it’s still lacking some polish in my opinion. As far as the rhythm goes, you’re mashing a straight 4/4 vocal over a 3/4 waltzy instrumental. It’ll be torture, but you may have go in and warp Every. Single. Phrase. to get it right. Now would be the time to use a grid to map your beats, or just study the waveforms to line up syllables with beats. You’ll probably have to really shift the phrasing of some parts, and cut them into pieces, and it’ll be a ton of work, but the result may just be worth it. The mix also lacks a little something--I can’t quite put my finger on it. The vocals seem to lack some mids and bass, but that might be lacking from the acapella itself. I think you also need some echoes (you’re the Master Of Echoes, SMASH! ), especially during the verses, when the soundscape seems very empty, and the vocals seem to stop too abruptly. It doesn’t sound like you need any more reverb, though. I hear the note(s) you’ve changed to fit. Great work there. The “whoa”s in the pre-chorus aren’t perfectly in harmony, but the pre-chorus wraps up so perfectly they’re easy to forgive. Fair enough. If you change your mind, I don’t think there’s shame in going back and releasing a “remash” at some point…but maybe you’ve had enough of this one. Sometimes it’s best to just move on to the next one…no harm either way!